Cashback Reward : Earn up to 19$! TransStbl3 Chemically Competent Cells (Stbl3) are specifically designed for chemical transformation of DNA containing long terminal repeats (LTR) found in lentiviral vectors. 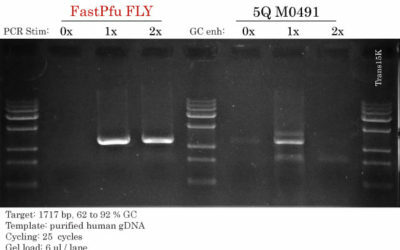 Unlike other E. coli cloning competent cells such as DH5α, TOP10, these cells reduce the frequency of homologous recombination of long terminal repeats (LTRs) Transformation efficiency is over 108 cfu/μg DNA (tested by pUC19 plasmid DNA) and plasmid DNA yield is higher than other E.Coli strains. 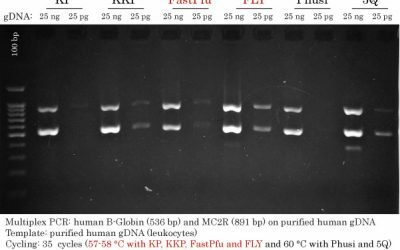 High transformation efficiency: >108 cfu/μg (pUC19 DNA). Suitable for transformation of lentivirus and retrovirus plasmid vectors containg (LTRs)and unstable DNA sequences. Reduced frequency of homologous recombination of long terminal repeats (LTR). Not suitable for blue/white colony screening. Upload attachment (Allowed file types: jpg, gif, png, pdf, doc, docx, ppt, pptx, xls, xlsx, maximum file size: 10MB.